Dorion and I met at the University of Central Oklahoma during our junior year of college. After a few months we became the best of friends and soon after we started dating each other! We were always coming up with ideas as I was the creative and he was the analytical. We balance each other in so many ways and we always held each other down through ups and downs. One day during the Fall of 2017, my lupus started to flare up and I had no choice but to stay home. It was my last year of college and I had no idea how I was going to finish. Dorion did his very best to take care of me in our small apartment near campus as he was working, going to class, and staying up all night to make sure i was okay. Soon I started to let it all get to me as I experienced anxiety and stress from my body not reacting the way we needed it to even though I had received treatment. Then I realized that there were things that I stopped doing for myself. Through prayer, self care routines, and books I was able to overcome a very difficult time in my life. I believe that this was a turning point in my life to understand how important it is to always take care of yourself and continue to read books. I did my research on the effects of reading and it is the cure to so many different things from anxiety all the way down to stress. This inspired me to do my final school project of a bookstore where others can relax and enjoy good books within a community with what is now called Literacy Lounge. 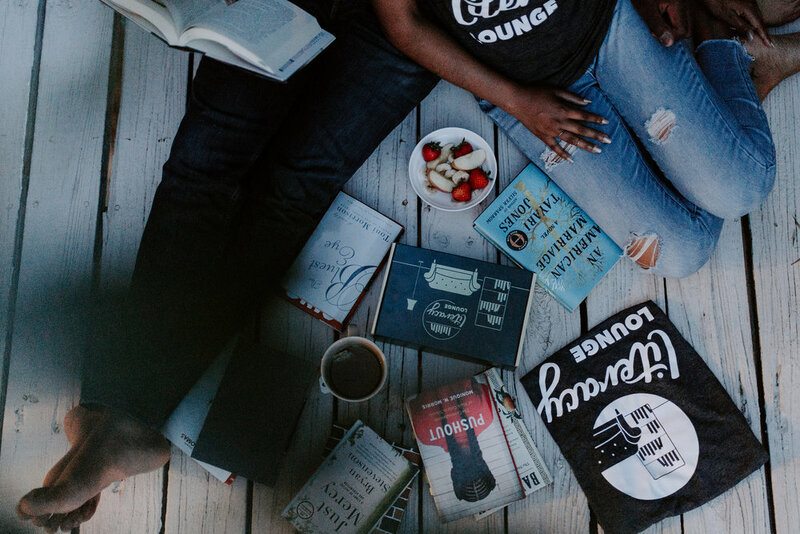 We may not be there yet, but in the time being we believe that we can create a community of individuals from all walks of life and share our love for books written by Black authors. Since then Dorion and I have worked tirelessly (and we are still working!) to give you all an experience that will bring the joy of reading and self care to your doorstep each and every month. We believe that through literacy you can bring together small communities and through community’s you can change the world. Thank you all so much for your love and support! Without you there is no Literacy Lounge, and for that, a million times thank you!